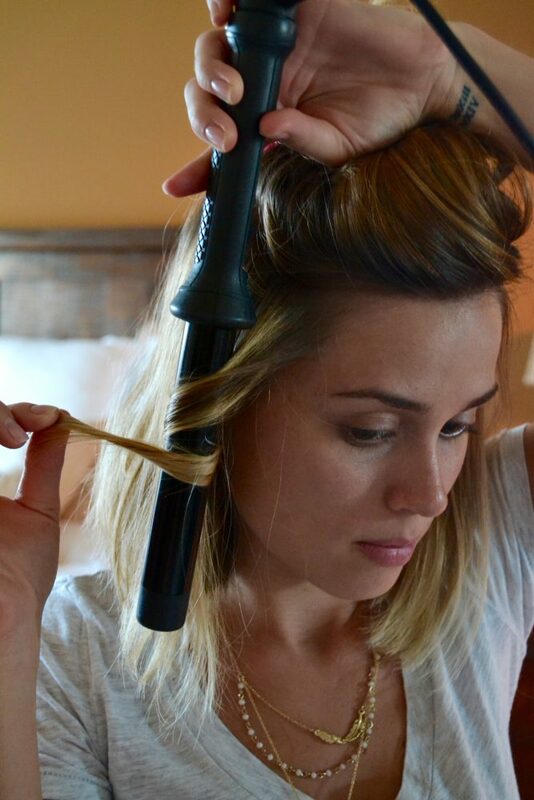 I get all the time how I curl my hair and how I get the perfect beachy waves. Well, today I am dishing all my secrets and how I curl my hair. Let’s take a look, shall we? Once I have washed my hair I like to prep it with my Aveda Be Curly Enhancer. After my hair is all dried I spray what I call the glory spray, because this stuff is just God sent. I LOVE the Fave4 Texture Takeover. I spray the texture takeover as I move on to each section of my hair. 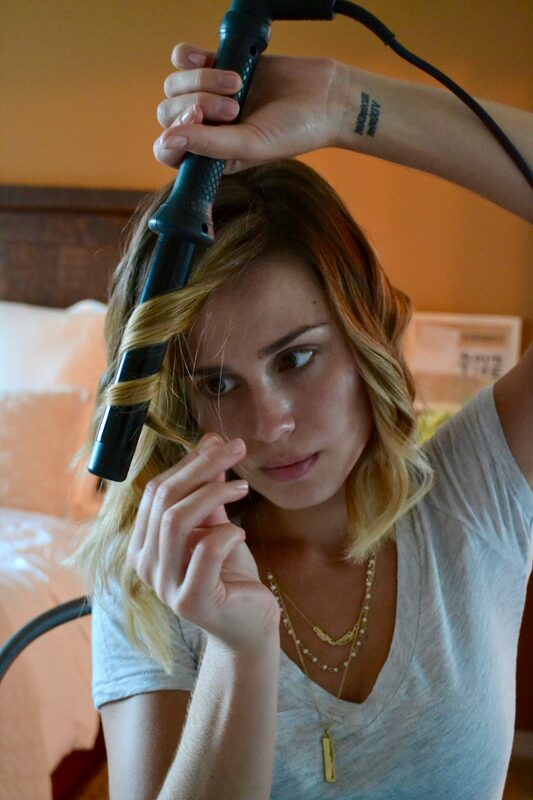 When curling my hair I like to alternate curling backward and forwards (see pictures below to see what I am talking about). I love the way it looks this way, it adds dimension and doesn’t look so perfect-ish. 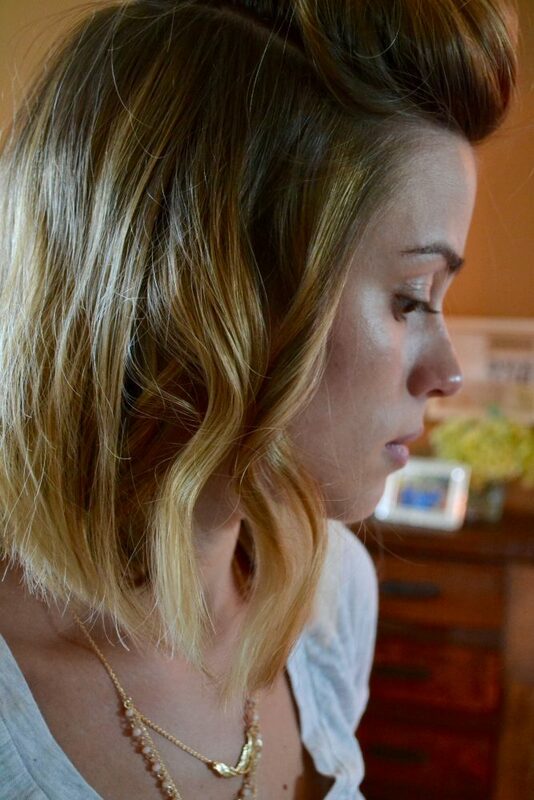 Also, for more of a beachy look, I always leave about 1″ of the bottom my hair loose (or not wrapped around the wand). 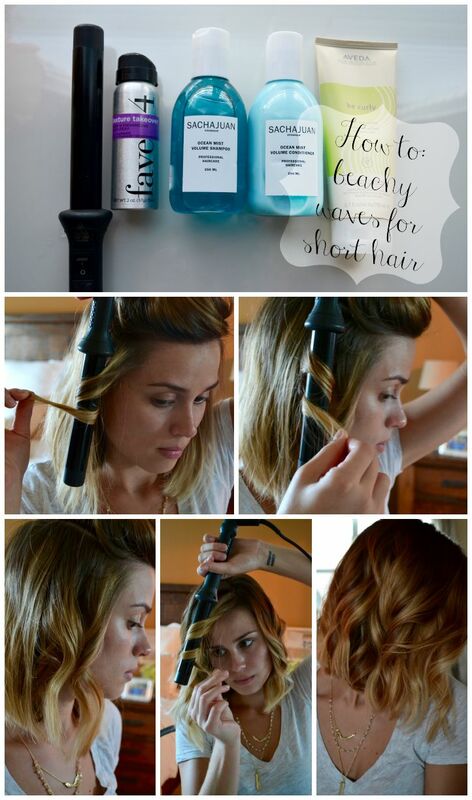 This little step is what will make the curls and your look more relaxed and beachy perfect. Once I have finished curling I spray some more Texture Takeover all over and shake the curls loose and then I am all done! Pretty easy right?! 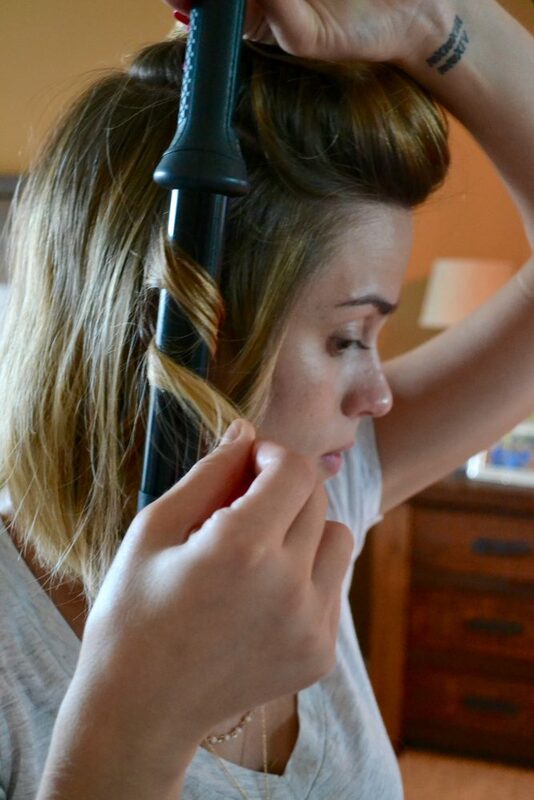 I hope this has answered all your questions on how I curl my hair! If you have any more questions feel free to email me or message me on IG or Facebook. I will be more than glad to help! Stay tuned for my DIY hair mask next week (I didn’t want information overload today.) I had so much fun doing all my beauty tips and tricks this week! I would love to hear from you on what you would like to see more of! 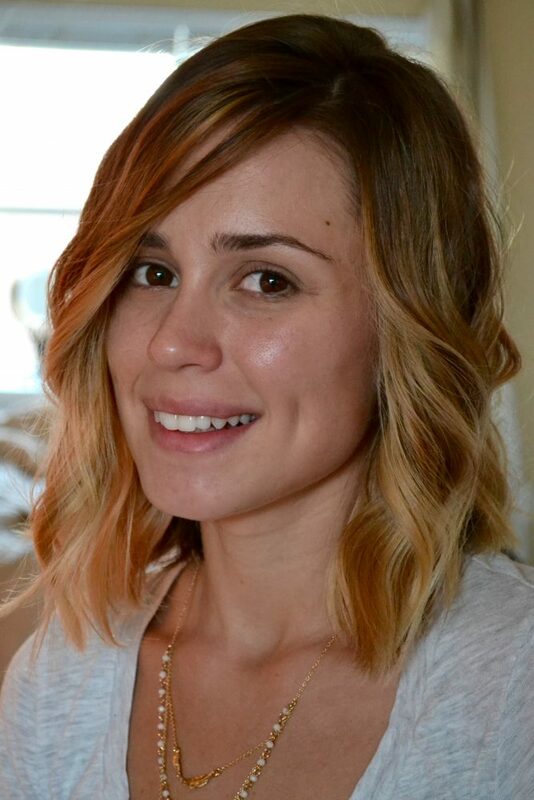 Comment below and let me know if you like this easy beachy waves look and let me know what you want to see more of! 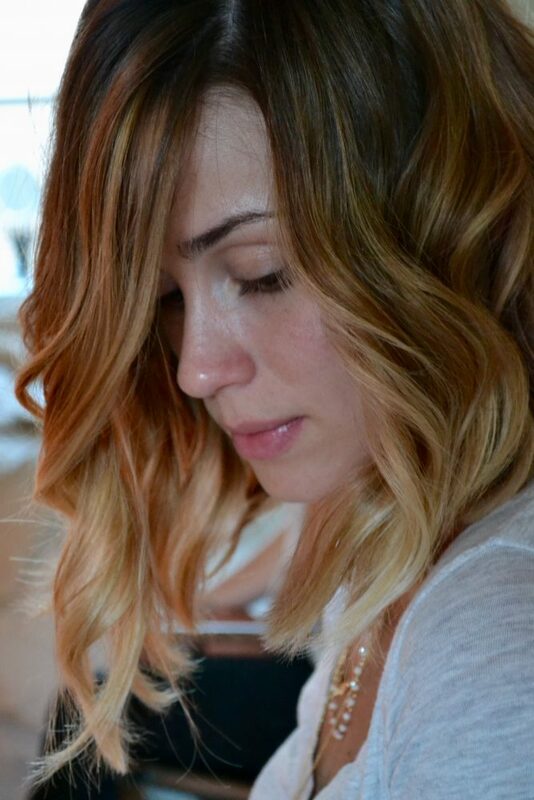 Be sure to check out more hair posts before you go! Thanks so much for stopping by, have a great day! Love! I love a curling wand for the beachy look! Best I have ever used is the Karmin.